From our mesquite-grilled fajitas to our famous margaritas, everything we serve is Made-From-Scratch to create unforgettable memories. Our famous tableside guacamole mixes perfectly ripe Hass avocados with the freshest ingredients including onion, tomato, cilantro, and jalapeño. Customizable and mixed right at your table, this guacamole will keep you dipping for more. 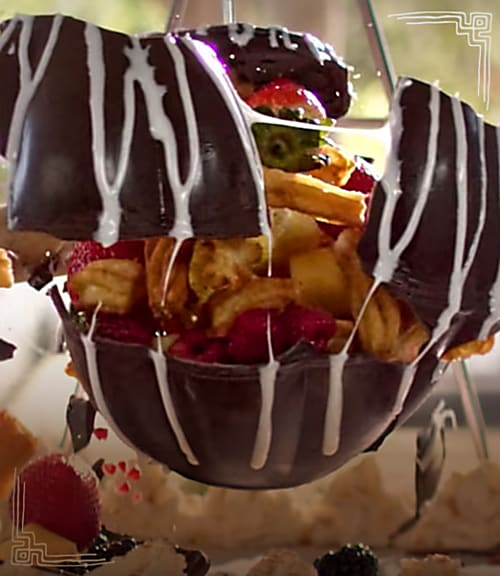 Smash open a ball of decadent dark chocolate filled homemade churros and fresh fruit. Our one-of-a-kind Chocolate Piñata is handcrafted, delicious, and comes with a mallet to crack it open. Our fajitas are mesquite grilled. Our custom margaritas are made fresh. Our guacamole is mixed tableside. Our piñatas are made of chocolate. Everything here is Made-From-Scratch to make fresh memories. To show our guests how much we appreciate that they’ve chosen to dine with us, we created the Amigo Especial Loyalty Program. Each time guests make memories at Uncle Julio’s, they earn points toward meaningful rewards — including dining credits, priority seating, complimentary dessert, and more! 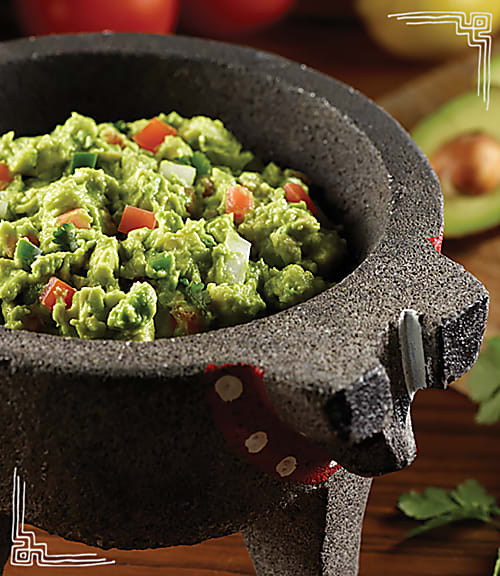 Join today to receive complimentary tableside guacamole at your next visit.